Where to find the Host Client vSAN section? 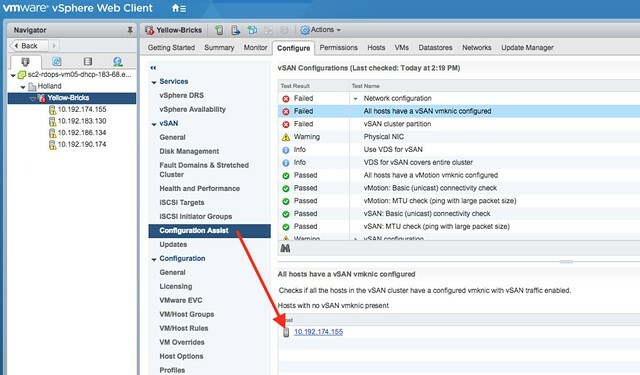 I drew a red rectangle around the vSAN specific menu options. Just click through them. Just for demonstration purposes I disabled the VMkernel interface for vSAN on this host. As you can see in the “Hosts” section below this particular host has no “IP” address indicating you should check the network… Very useful for sure when troubleshooting. 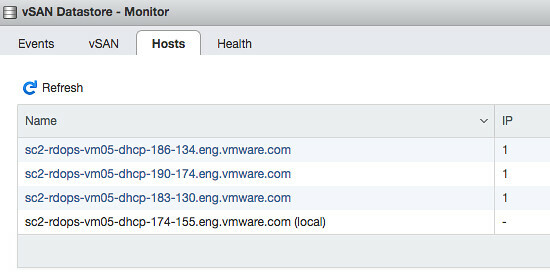 Of, of course the Health Check and the new Config Assist option vCenter also calls this out! With a link to the object even to fix the issue. If you would click the blue link you would go to the VMkernel config section in the UI… I love it how easy it becomes to fix and detect issues. Great work vSAN team!